The Comecer radioactive solid waste disposal canisters, model CR, are a series of shielded canister for radioactive solid waste. 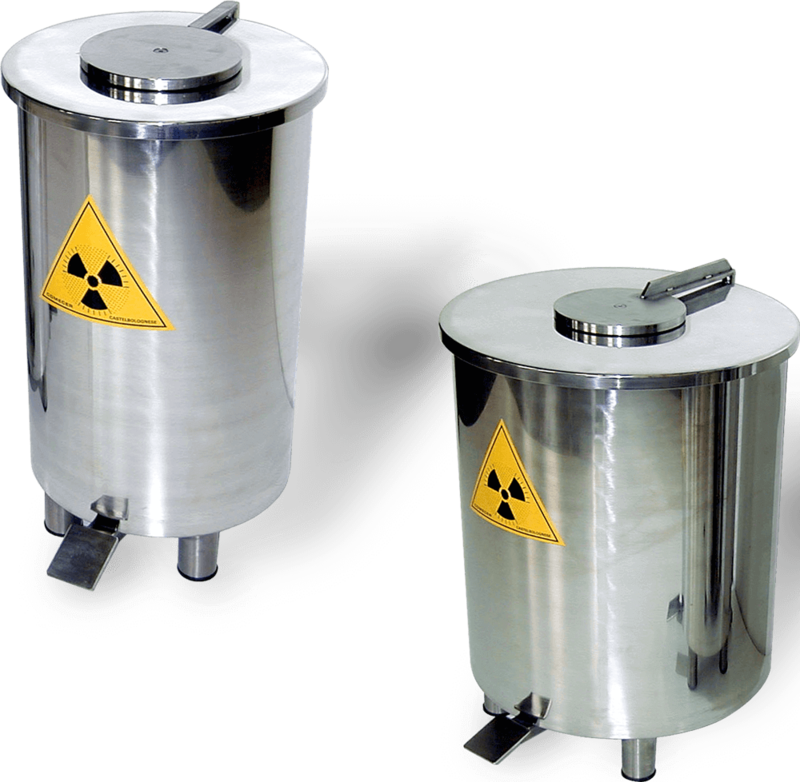 The Comecer canisters for radioactive solid waste are completely made from AISI 304 stainless steel with Scotch-BriteTM decontaminable finish. The canister is shielded with 3 mm of lead in every direction and it has a special opening that enables the lid to be lifted and translated via a helical screw controlled by a foot pedal. It is available in two models with different dimensions and weight.